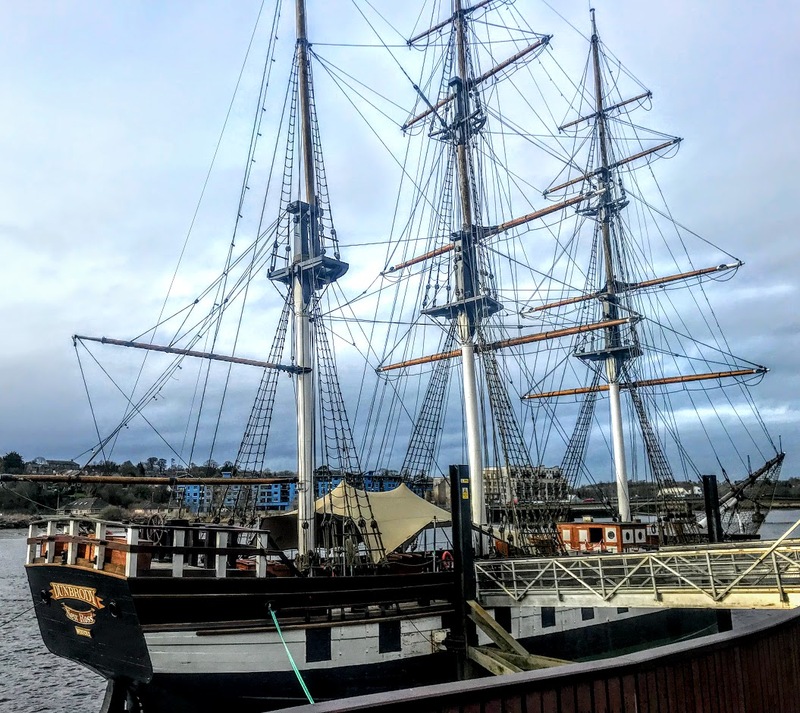 The Dunbrody famine ship on the Quay in Co Wexford is one of the major tourist attractions in Co Wexford, and also gives its name to the eye-catching Dunbrody Inn on the Quay. 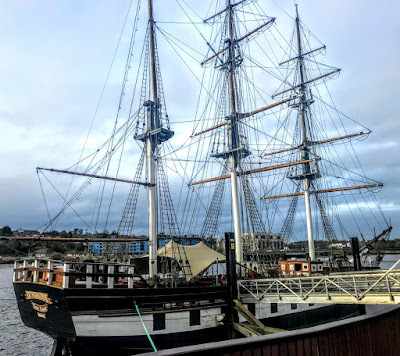 But few visitors to New Ross probably realise that both take their name from Dunbrody Park, a few miles further south on the Hook Peninsula. 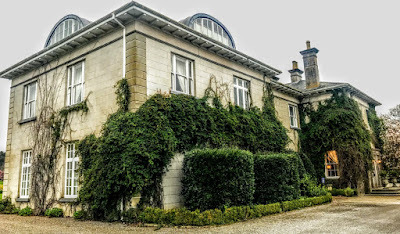 I was also interested in calling in to see Dunbrody when I was in the area earlier in March because of the interesting link between this house and Comberford Hall. ‘Three knocks are always heard at Comberford Hall before the death of a family member.’ This is one of the many vignettes and stories from history and folklore recorded by Kate Gomez in her recent book, The Little Book of Staffordshire (Stroud: The History Press, 2017). The knock came at the door of Comberford Hall for George Augustus Chichester, when he risked his inheritance through his gambling addictions. 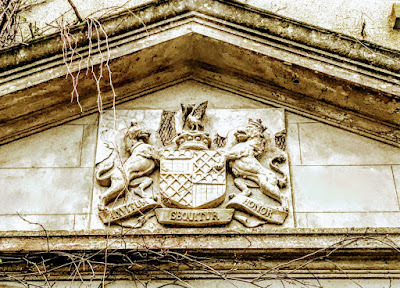 To pay off his debts, her married the illegitimate daughter of a moneylender, and Fisherwick Hall was inherited instead by his brother Lord Spencer Stanley Chichester. The Manors of Comberford and Wigginton, including lands in Hopwas and Coton, were bought 230 years ago in 1789 by Arthur Chichester (1739-1799), 5th Earl of Donegall. Within a year, Lord Donegall had raised £20,000 from the banker Henry Hoare, using the manors and lands of Comberford and Wigginton as collateral security. Eventually, however, the Chichester family, would be crippled by the gambling debts of a profligate son, they found it impossible to pay off this loan, and they were be forced to sell Comberford Hall and the manorial rights and lands that went with it. Arthur Chichester was educated at Eton and Oxford, and became the 1st Marquess of Donegall in 1791. Through the properties he inherited from his father, he was the greatest landowner of his day in Ireland. His estates included 11,000 acres at Dunbrody, Co Wexford, almost 90,000 acres in Co Antrim, 160,000 acres in Co Donegal, the whole town of Belfast, and the townland of Ballynafeigh in Co Down, totalling over quarter of a million acres. However, he never lived on his Irish estates. Instead, Donegall made his principal residence in Staffordshire, tearing down the Skeffington family’s old Tudor manor house at Fisherwick, close to Comberford, replacing it with a vast Palladian mansion set in a park of 4,000 acres, all designed and constructed by Capability Brown. At Fisherwick, he also collected an expensive library and rare specimens of natural history. Lord Donegall is said to have rebuilt Comberford Hall, replacing the original half-timbered Tudor manor house dating back to the late 15th century, at the same time as he rebuilt neighbouring Fisherwick Hall. However, Mrs Valerie Coltman, who lived at Comberford Hall, told me she believes it is more likely that Comberford Hall was rebuilt more than 70 years earlier in 1720. Lord Donegall also gave his name to Donegal House on Bore Street, Lichfield, although Donegal House was built in 1730 by a local merchant James Robinson. The Staffordshire historian Stebbing Shaw notes in 1798 that Lord Donegall was still Lord of Comberford Manor, along with Wigginton, Hopwas, Horton, Tynmore and Fisherwick. 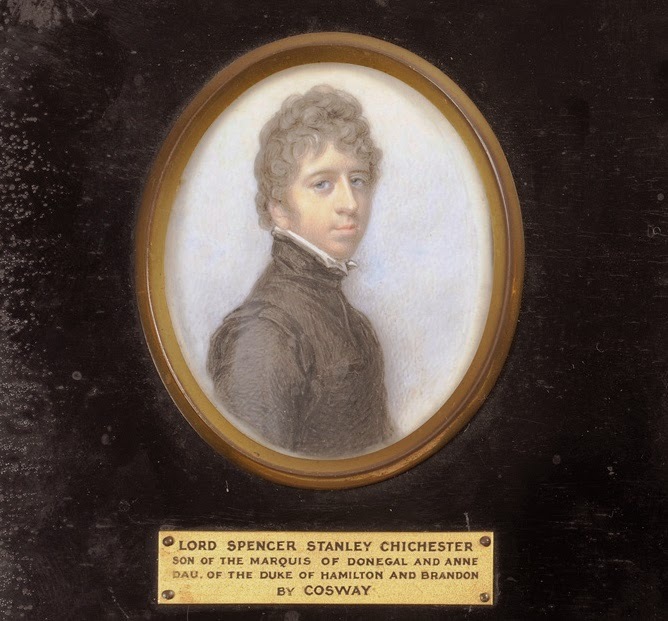 Donegall died in 1799, and Comberford Hall and his other Staffordshire estates, including Fisherwick, now heavily mortgaged, passed to a younger son, Lord Spencer Stanley Chichester (1775-1819), who also inherited Dunbrody Abbey, Co Wexford, along with a townhouse in Saint James’s Square, London, 20,000 acres on the Inishowen Peninsula in Co Donegal, the townland of Ballymacarrett in Co Down, the lands through which the newly-built Lagan Canal passed, and the family’s Gainsborough portraits. Lord Spencer Stanley Chichester was born on 20 April 1775. He was 20 when he married Lady Harriet Stewart (ca 1770-1850), a daughter of the Earl of Galloway, on 8 August 1795. But by then, Lord Spencer Chichester’s gambling debts were catching up on him. 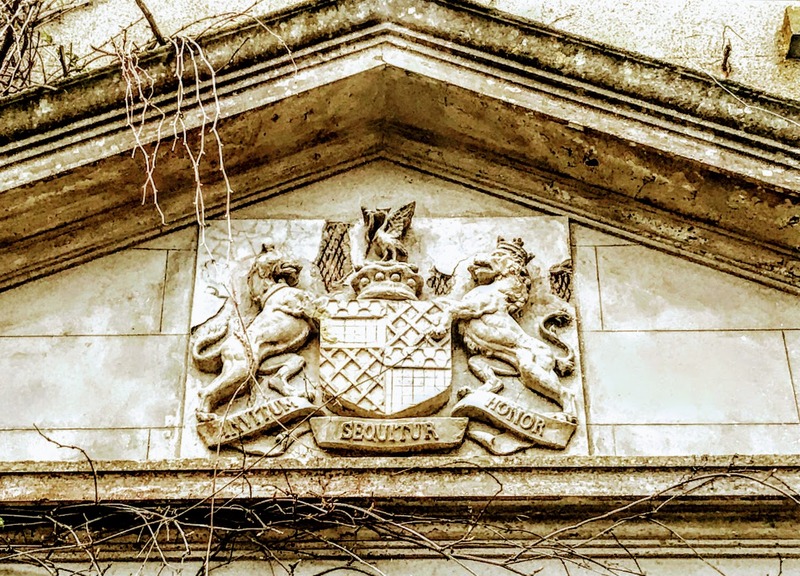 In 1801, he sold some of his lands in Lichfield, Alrewas, Whittington, Wichnor, Comberford, Coton, Tamworth and Hopwas, to the Lane family of King’s Bromley. Through his brother’s patronage, he became the MP for Carrickfergus, Co Antrim in 1802, although he continued to live at the family house at Fisherwick, which was left to him by his father. By 1805, he was seeking legal opinion on his title to the Manor of Comberford and Wigginton. Eventually, he was forced to sell Fisherwick, where the great house was demolished. He was re-elected for Carrickfergus in 1806, although he had been asked to stand for Co Wexford. However, he resigned from Westminster in March 1807, and appears to have spent the rest of his days on the estates he had inherited in Co Wexford. His mortgages on Comerford Hall were foreclosed in 1809, and it passed to the Peel family. 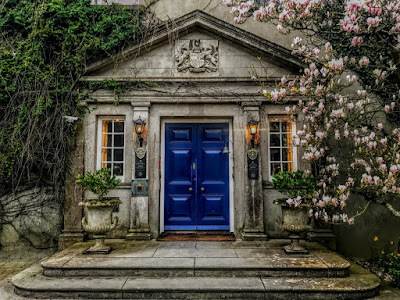 If Chichester’s profligacy lost his family Comberford Hall and their other estates near Lichfield and Tamworth in Staffordshire, it is surprising how they managed to hold on to Dunbrody in Co Wexford. 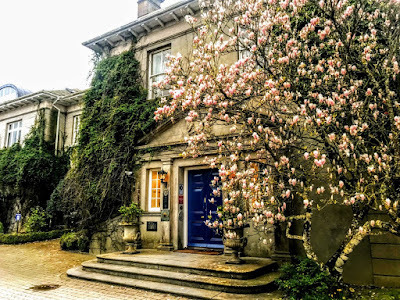 Lord Spencer Stanley Chichester built Dunbrody House as a country house, and at times it has been known as Dunbrody Park or Harriet’s Lodge, named after his wife, Lady Anne Harriet Stewart. He had built Dunbrody House before he died in Paris 200 years ago on 22 February 1819. Dunbrody House is a nine-bay, two-storey country house with a dormer attic, built on an E-shaped plan with two-bay two-storey advanced end bays centred on a single-bay two-storey breakfront, originally single-bay three-storey on a rectangular plan. It was partially rebuilt in 1909-1910. The house has a deliberate alignment, maximising the scenic vistas overlooking gently rolling grounds, with Waterford Harbour as a backdrop. It has a near-symmetrical frontage centred, on a truncated breakfront. The diminishing scale of the windows on each floor produces a graduated visual impression and the decorative timber work embellishes the roofline. The architectural historian Bence-Jones says it has the appearance of a 20th-century house with a vaguely ‘Queen Anne’ flavour. The house was inherited by his eldest son, who became Lord Templemore, and the house and title passed through successive generations to Dermot Richard Claud Chichester (1916-2007), 5th Baron Templemore. During World War II, as a captain with a cavalry regiment, he was reported missing in action and was believed to have been killed in action. He had been captured in Libya in November 1942 during the North African Campaign, and he remained a prisoner of war in Italy until he escaped in June 1944. He was promoted major that year. His elder brother, Arthur, was been killed in 1942 when he was an officer in the Coldstream Guards. Dermot Chichester succeeded his father as the 5th Baron Templemore in 1953. In 1975, he also succeeded a distant cousin to become the 7th Marquess of Donegall, being the descendant of the 1st Baron Templemore, grandson of Arthur Chichester, 1st Marquess of Donegall. He continued to live at Dunbrody House and died on 19 April 2007. His titles then passed to his son, Patrick Chichester. But by then Dunbrody had been sold in 1996. The house was renovated in 1999-2001, and is now a luxury boutique country house hotel. It was named Luxury Country House of the Year in 2016. It is wonderful to read your scholarly history of Comberford Village and the Comerford family. You have augmented and indeed expanded my own knowledge of the village which I researched some years ago.